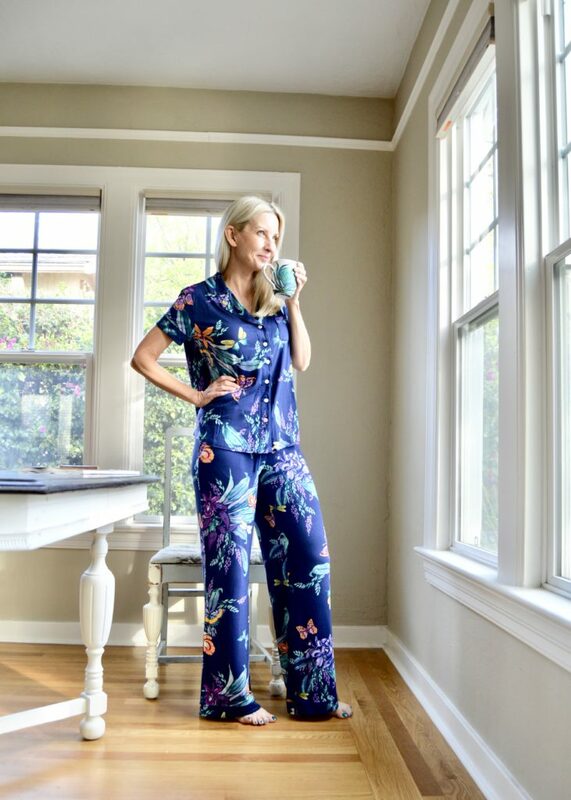 The favorite parts of my day are spent in Soma pajamas, like this super soft pajama set in this pretty Exotic Navy Floral. This post is a collaboration with Soma. All opinions are always my own. What is the best part of your day? I love the early morning when no one is awake in the house but me and the dogs. I relax and drink my coffee, eat some breakfast, check Instagram, and then give the dogs some love. The next favorite part of my day is the evenings with my husband. We both work so hard and when it’s finally time to put on our pajamas and relax, it’s such a treat. Sometimes I’ll blog while he practices guitar and then we’ll play with the dogs and settle down to watch something on TV. Wouldn’t it be a shame to spend the best parts of my day in ugly sweats? I love wearing pretty pajamas and Soma makes the prettiest ones. Plus they’re so soft and comfortable, and look great wash after wash.
Soma has so many pretty spring colors and prints. It was hard to pick a favorite, but I fell in love with this Exotic Navy Floral print. It has such a resort vibe! Here I’m wearing the Cool Nights Short Sleeve Notch-Collared Pajama Shirt and Cool Night Pajamas Pants. 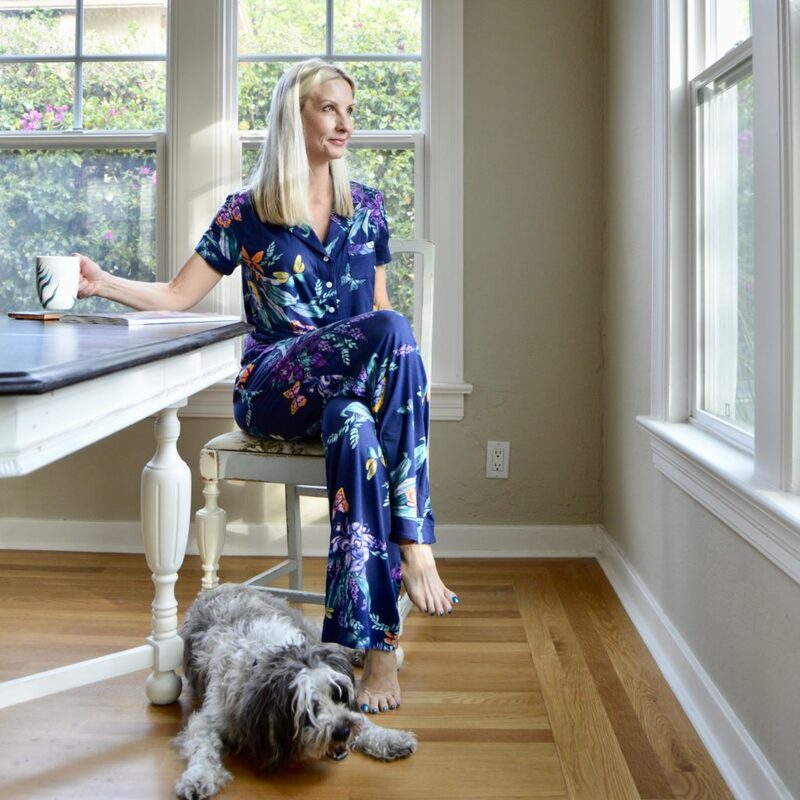 You can also get the print in a short or long nightshirt, shorts, and cropped pants. Isn’t it time to up your lounge wear game, Dolls? Check out all the beautiful spring offerings at Soma Intimates. And tell me about your favorite times of the day in the comments below! Oh I love that print, what nice pyjamas! 🙂 I’m on the hunt for new PJs, I think I might ask for them for mother’s day! Hope you have had a great weekend! We had a quiet one to recover from being unwell last week. Hoping for a quiet week this week too! Me and my girlfriend love exotic clothes, and pajamas are no different, thanks for the idea! Pj’s are one of those things we don’t often indulge ourselves with – I always love giving them as gifts for my friends. It’s so nice to have special ones. Thanks for the intro to this brand – I’ll have another great gift source. Maybe even a gift for myself. Have a great week! sounds like the perfect way to start the day! those pjs are superrrr cute! 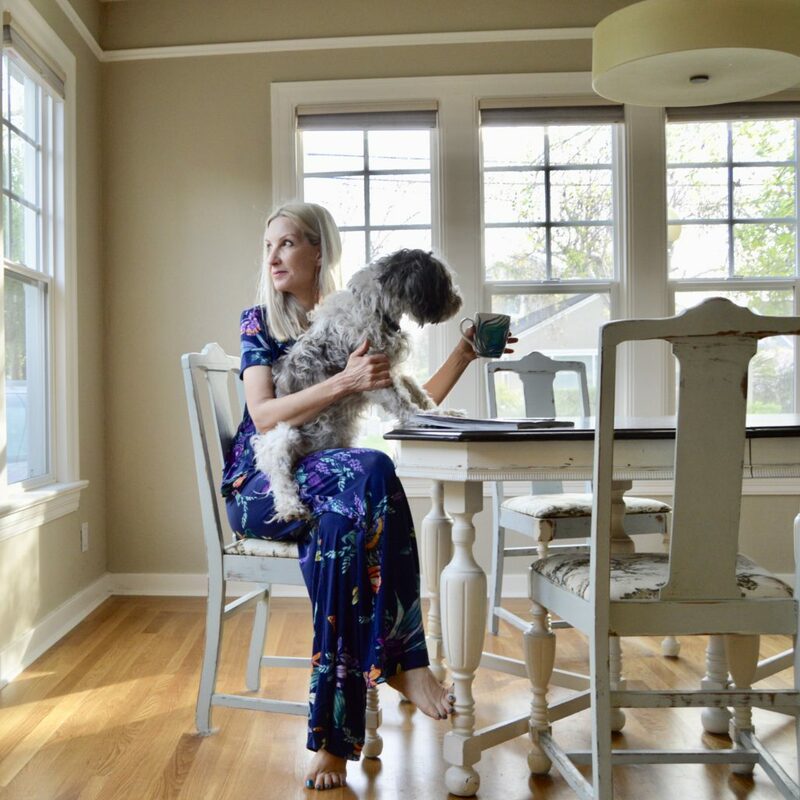 I can’t decide which I love more….the pj’s or these beautiful pictures of you! !